No one in this world likes rejection. However, if you are planning to travel to these countries, you should be prepared for the worst. China is becoming stricter day by day when it comes to visa applications. You will need to submit a long list of documents when applying for a visa. This will include to and fro flight tickets as well as hotel bookings. 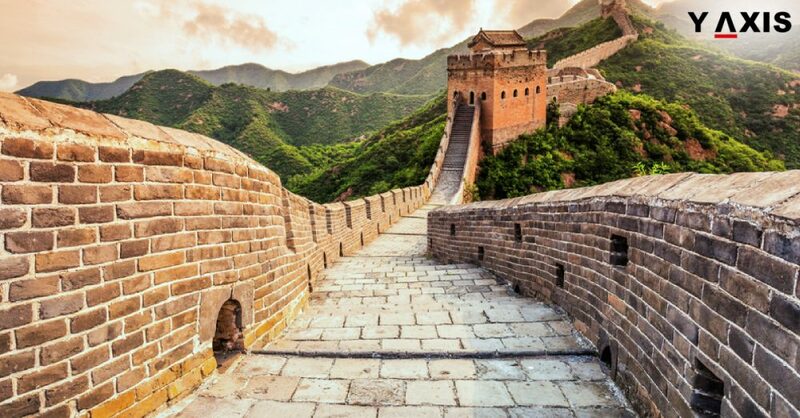 If you plan on staying for less than 30 days in China, then the process is slightly easier. For longer durations, you will need to provide a detailed itinerary of your trip. Also, you can only apply for the visa in your home country. Before submitting a visa application, you will need an authorization code. The authorization is actually a pre-approval by the Foreign Affairs Ministry of Iran. Also, it can only be applied through an official travel agency based in Tehran. US, UK, and Canadian citizens need to hire a guide approved by the Ministry of Foreign Affairs. The details of the guide have to be included in the visa application. After you get the authorization, you will need to submit the visa application at the Iran Embassy in person. Women need to cover their heads in their passport photo or else their visa is rejected. The introduction of biometrics has made visa applications harder. This is because you need to go in person to submit your fingerprints and facial image. For this, you will first need to find a visa center or Embassy that will process your biometric application. Not all Embassies process the same. Before you start your visa application you will need to get an Invitation Letter from Russia. The letter has to be issued by a travel agency registered with the Ministry of Foreign Affairs, Russia. Also, be extra careful while filling up the visa application. Even a single error can get your visa application rejected. It is one of the most “closed” countries of the world. You may only get a Tourist Visa if you have joined a tour or have hired a tour guide. You will also need to make all your hotel bookings in advance. You will also need to get your tour agency or your tour guide to get you a Letter of Invitation. The letter has to be arranged from the Turkmenistan Immigration authorities. Getting the invitation letter may take up to 2 to 3 weeks. Also, it is not guaranteed that you may be successful in getting the letter. If you do manage to get the Invitation letter, the remaining visa process takes another 2 weeks. Azerbaijan has a number of public holidays, especially during the summer months. Embassies and other visa centers, hence, may be closed for a week due to these holidays. As such, getting a visa may be a slow and tedious process. The country has a couple of tourist visa options. You may apply for the Standard Tourist visa with the Embassy. This has a process time of two and a half weeks. You may also apply for an e-Visa which has a process time of 4 to 6 weeks. The e-Visa has to be applied through the Ministry of Foreign Affairs, Azerbaijan, as per Wanderlust. Though the e-Visa takes longer, it is an online process and you do not need to submit your passport. However, there is no way of checking your visa status once you have applied. So you have no other option but to wait.